A special train has been commissioned to convey secret NATO funds from Paris to Brussels. 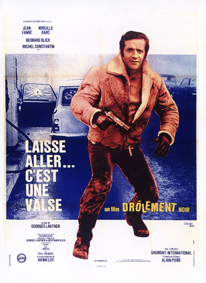 Plots to swipe the money are being prepared on both sides of the Channel: on the French side, Arthur, a resourceful small-time crook and his pal Anatole, on the English side, the Brain, a brilliant con artist, with the means and the men - a team of specialists. But both gangs have planned the hold-up for the same day, at the same time. 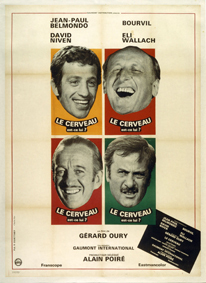 Beauchard, who works for a gang specialized in industrial espionage, wants to get his hands on a new laughing gas which professor Eugène Ballanchon has just discovered. A beautiful girl is instructed to pry the secret formula from the scientist. 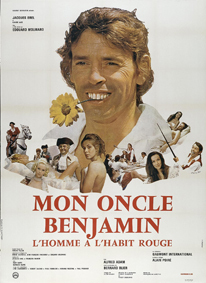 However as Eugène doesn't fall for her tricks, Beauchard decides to kidnap him. 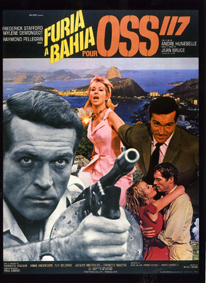 The situation goes from bad to worst but comedy prevails in this adventure-filled spy film spoof. A wave of political crimes is washing over South America. 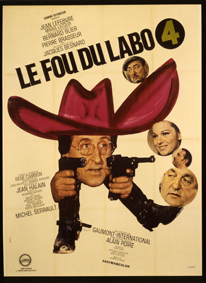 Secret agent OSS 117 in charge of cleaning up the affair, is ambushed several times but manages to get rid of the killers on his trail. With a Brazilian woman, Anna Maria, he reaches the Amazon forest where he finds Natives growing a mysterious plant that turns men into killer robots. Henri III gives Sir Pardaillan a message for Henri de Béarn asking for his help. After a narrow escape from an ambush, Pardaillan reaches Lord Béarn and learns of a plot against the king. The marquis de Sombreuil is searching for the daughter of a workman whom he accidentally killed. 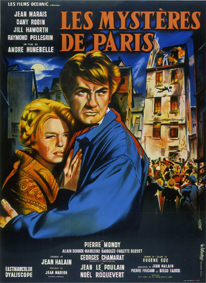 With the help of a convict, he slips into the inner city and manages to deliver the young woman, Fleur de Marie. 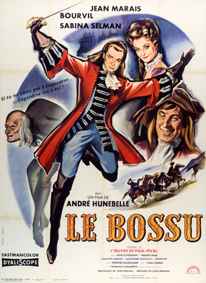 Meanwhile his mistress has become an ally of the Baron de Lassignac, who devises a foul plot against the Marquis. A XIXth century love and adventure story, based on Eugène Sue's well-known novel. At a ballet, the king sees a beautiful stranger, Charlotte de Montmorency. He decides to marry her to his nephew, the Prince de Conde. Once married, the prince takes his wife away from the king's clutches. André Hunebelle's sumptuous and riveting production of the adventure of a mysterious hunchback who has all Paris agog. The man is, in fact, none other than Lagardère, a knight back from Spain to save beautiful Aurore from Prince Gonzagues and his evil designs. 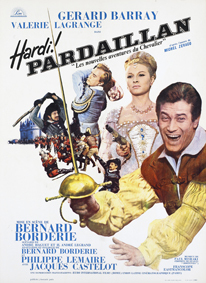 An action comedy spiced with the love story between Lagardère and Aurore and sweetened by their marriage.